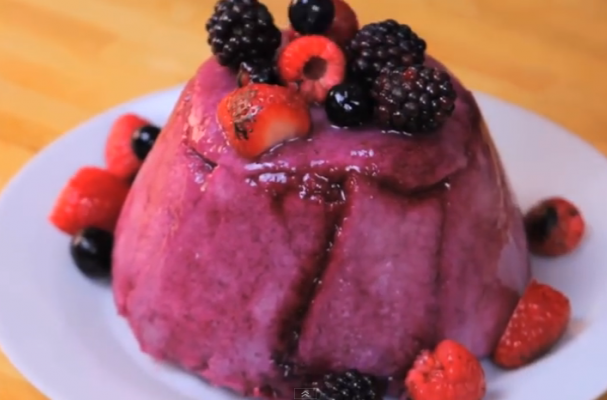 Summer pudding is a classic British dessert that makes use of fresh summer fruits and stale white bread. A variety of berries (blueberries, raspberries, blackberries, strawberries) are cooked in sugar with orange liqueur to create a lovely deep purple syrup. The syrup is spooned over white bread and left to soak for several hours or over night. The result is berry soaked bread and berries. I like to serve this simple dessert with a creme anglase, A French vanilla custard sauce (you can also use melted vanilla ice cream).